News about Emily’s upcoming books and events, and other happenings in her life. Usually there is one post every few months. Each year around the start of spring, I find myself making plans for the rest of the year. I value winter for the time indoors (i.e., without yard work), but it’s hard not to be excited when the daffodils appear and the weather warms. The year feels filled with promise. I’m teaching Baking Traditional Breads at the Folk School in May, but I believe the class is already full. If you want to get on the wait list, you can do so here. Tentative dates for 2020 are April 26 to May 2, 2020 (Making Traditional Breads) and September 20 to 26, 2020 (The Science of Bread). I’ve got a new plan for my writing endeavors taped on the kitchen cabinet. What I’ve gathered from classes and reading is that to have a career as a writer, I need to produce a lot of books that are in one genre. Readers will expect consistency, and I don’t want to let them down. At first this concept seemed stifling, but I looked at my favorite authors. For example, I’ll read anything by Sarah Dessen because I know there will be a teenage girl protagonist struggling with family issues and figuring out where she belongs. So my current situation is, I have three manuscripts in three different genres. I need to pick which genre to focus on—which genre I think I can produce more books in, and which manuscript I want to pitch to agents at the conference this summer. (I’m not opposed to self-publishing but am interested to give the traditional process a try.) I’m currently trying to read as much as possible, to figure out where my books fit in. The first daffodil of spring! That’s probably enough news for now. It’s nice that spring keeps returning each year to bring the feeling of promise, even as life progresses steadily on. This entry was posted in My News on March 20, 2019 by Emily. After the busy-ness of the holidays, January seems like a good time to round up my latest news. Last November I completed NaNoWriMo, writing a 50,000-word draft in thirty days. The new novel, Kensington, originated as a contemporary romance idea but turned out differently than I’d expected: there was less kissing and more plot. This result has led me to further consider what sub-genre I’m writing—light romance? new adult? chick lit?—and I’ve been stepping up my reading in the genre to try to find comparative titles. The next steps I’m leaning toward are making some changes and then looking into other agents. Right now, though, I am excitedly swamped with editing work! I’m providing feedback on an applied science textbook and writing a new booklet for the American Cleft Palate–Craniofacial Association. I’ve had a steady stream of academic papers for copyediting and language editing. And I’m starting a new test passage writing assignment and a report for the National Academies of Sciences in the coming weeks. I’m dismayed to report that, because of a scheduling conflict, I won’t be able to teach at the Asheville Bread Festival on April 13, 2019. I’ve never missed this festival since it began, and feel like it kicks off my spring each year with a good dose of bread. If anything changes, I hope to attend, but at this time, it is not looking good. Still, I encourage everyone to go. Info: https://www.ashevillebreadfestival.com. My May class at the Folk School is already full. I hope to offer classes in 2020, but am waiting to hear from the Folk School’s new cooking resident artist. I also hope to have time for some local events, like a replay of my self-publishing talk at the library, but nothing is currently scheduled. In case you missed any, here are the blog posts I’ve written in the past two months. This entry was posted in My News on January 20, 2019 by Emily. I’ve been busy the last two months, and I’m glad to report I’ve been doing a lot of writing! Last weekend I attended the NC Writer’s Network fall conference in Charlotte. I had some excellent sessions about the craft of writing: scene sequencing, writing authentic characters who are different than you, and detailed world-building. I also learned about pitching a novel to an agent or editor. I’m really excited for the new novel, but after NaNoWriMo and finishing a first draft, I plan to return to my previous manuscripts, The Knowledge Game and Rose Fair, both of which are mid-revision. Incidentally, if you want to know how I created the blog subscription with categories, I blogged about it here: New Subscribe Options (and How I Created Them), https://emilybuehler.com/2018/new-subscribe-options-and-how-i-created-them/. I’m hoping to keep up the daily writing through the holidays, as well as reading a lot of science fiction thrillers and romance novels, to figure out where my novels fit in. This entry was posted in My News on November 11, 2018 by Emily. Happy September, everyone! Just an FYI, I am working on adding categories to the subscription form, to allow subscribers to choose which content they receive notifications about. 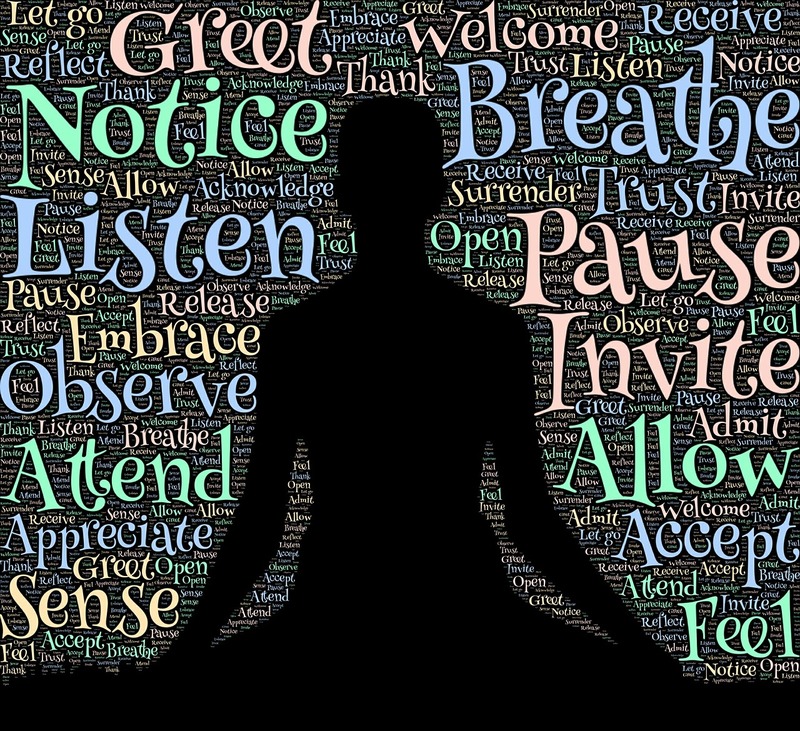 This is in anticipation of adding some additional types of blog posts, as I ease into the world of being a fiction writer. I don’t want to subject anyone to “Emily’s Thoughts” if you just want tips for writers or news updates. I’ll keep you posted. Here’s what I’ve been working on all summer, and what I’m looking forward to this fall. I’ve been a fan of self-publishing since I published Bread Science in 2006. I’ve tried to capture and condense everything I know about it many times (see the summary in this blog post), most recently in a presentation I gave at the local library this summer (view the slides PDF, here). I plan to refine this presentation and offer it again. I continue to read articles and attend sessions on self-publishing, always hoping to learn something new. In August, I attended a talk at the Durham library by author Nancy Peacock and author/publisher Nora Gaskin. At first, I felt disheartened; how did other people know so much about self-publishing? Then Nora described how she struggled to compile a self-publishing process for herself to follow, a process she now shares with others, and I realized I was just having another incident of imposter syndrome. Her struggles sounded similar to mine. Last spring I worked with developmental editor Tanya Gold on my new-adult dystopian fiction novel, currently titled The Knowledge Trick (#KnowledgeTrick—although I keep changing my mind and have not actually tweeted this hashtag yet). I revised heavily based on Tanya’s feedback, and plan to attend the NC Writers’ Network’s fall conference in Charlotte, where I’ll participate in the “Manuscript Mart” to get feedback on pitching the novel. I’m reading up on how to pitch, but I’m keeping my options open. 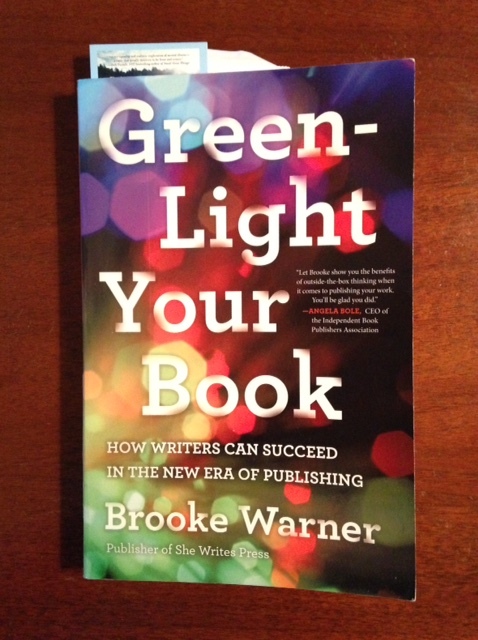 While I want to explore a traditional publishing route, I’ve been reading Green-Light Your Book by Brooke Warner, which makes me wonder if traditional publishing is right for me. I’ll continue to learn more and hopefully the right path will become clear. 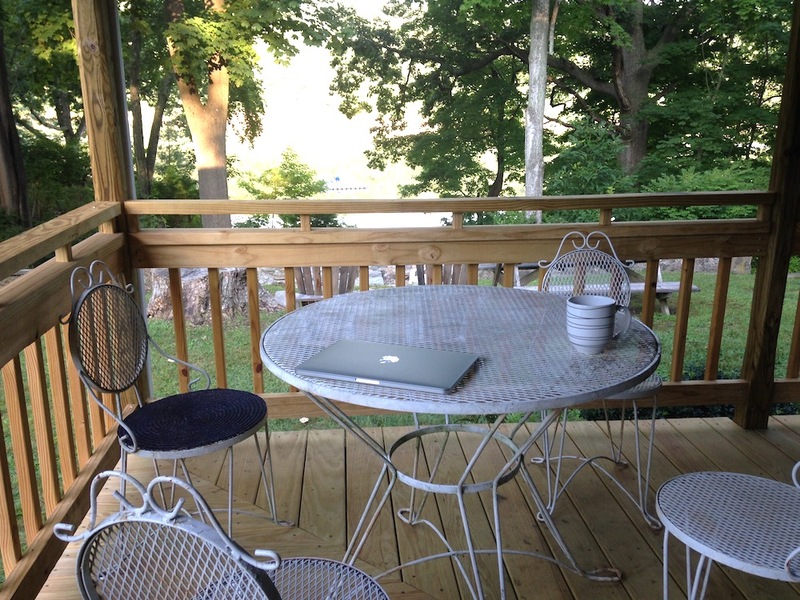 On my self-funded summer writing retreat, I got back to work on my romance novel, Rose Fair, using everything I had learned from working with Tanya. I finally joined the Romance Writers of America (RWA), as well as the local chapter, Heart of Carolina Romance Writers, and hope to learn more about the romance industry and to find where my novel fits in. It’s a big industry, and I’d like to find the authors and publishers with goals similar to mine: writing well-written, easy-to-read stories with smart, empowered female protagonists and with deeper meaning behind the actions on the page. I plan to attend the RWA conference in New York in July 2019. I’ve been busy with my editing business. I’m still copyediting academic papers, and I’ve been formatting longer reports, which has an appeal similar to that of copyediting: making it all consistent. Occasionally I do some writing work. Last winter, I drafted the summary of a report I had edited, and then I revised with feedback from the report authors. The report was titled, Reducing the Threat of Improvised Explosive Device Attacks by Restricting Access to Explosive Precursor Chemicals. The summary is now available from the National Academies Press, here. Possibly my favorite freelance work is what I call “beta reading,” for lack of a better name: reading the manuscript and pointing out places where the reader is pulled out of the story, or where the point-of-view accidentally shifts or the action is confusing. It’s a step between an early developmental edit and a later stage copyedit. 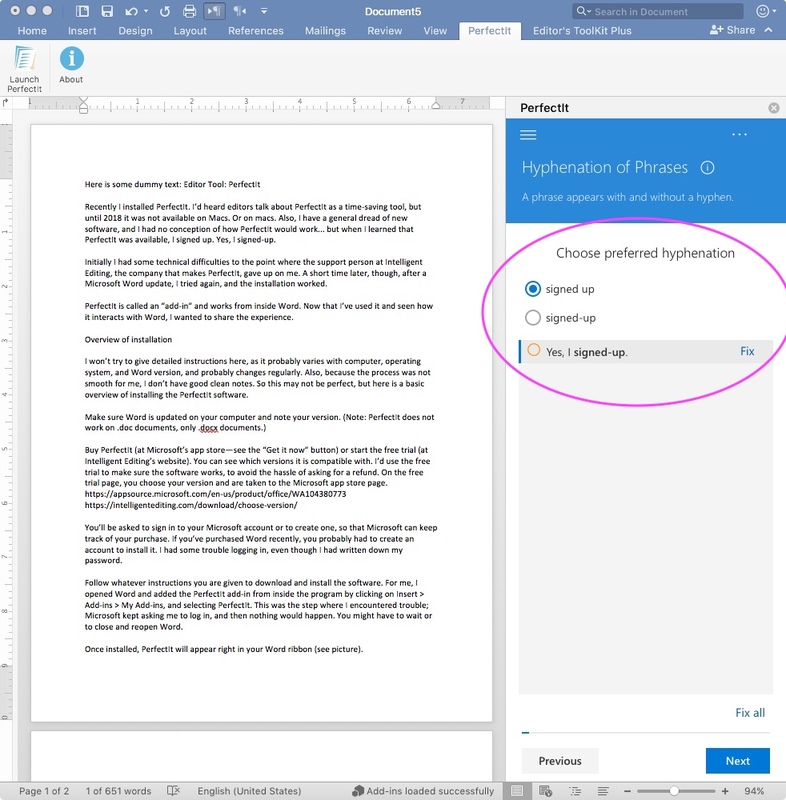 I think I like this service best because I sense that I’m making a difference to the writers, not just correcting one text but informing their writing. A few authors have approached me this year, and after seeing my sample edit of their work (which pointed out recurring issues), all decided they’d better do some more work on their own before hiring an editor. I say “appearances” because some of my upcoming events are brief ones. I’m participating in a new book sale featuring local authors at the Orange County, NC main library on November 24, sponsored by the Friends of the Library. If you’re in town please stop by and say hello. I’ll also be the local author giving the “art moment,” a brief reading to open the Orange County Board of Commissioners meeting, on December 3. I’m actually quite nervous about this—I attended this month’s meeting and remembered how big the room is, with about a hundred attendees. The January class comes with the added bonus that you’ll get to meet my mom, a.k.a. the Two Blue Books distribution office. I also plan to teach my usual “Beginner Kneading” at the Asheville Bread Festival, date tba. This entry was posted in My News on September 10, 2018 by Emily. Life is busy! (Will I ever start a news post with anything else?) Here’s what I’ve been working on. 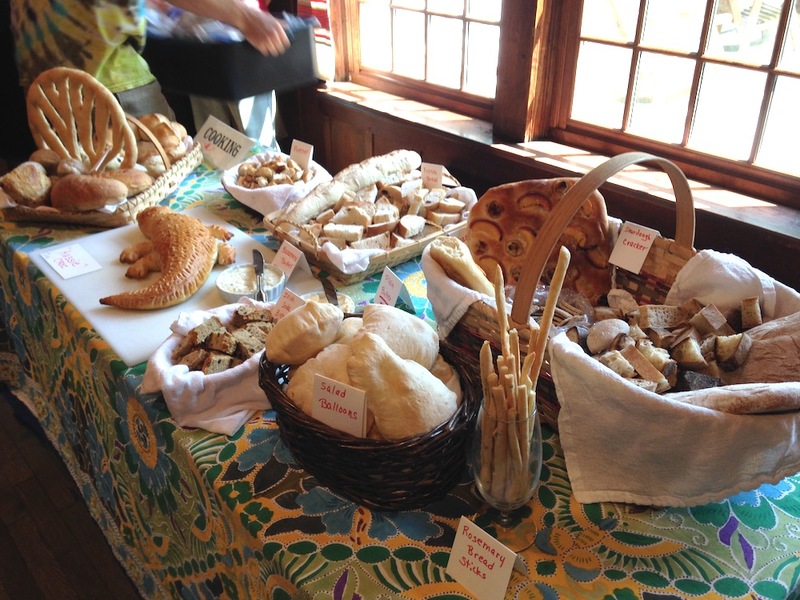 On May 5 I’ll once again be at the Asheville Bread Festival. I’m teaching beginning kneading (tickets available here) at 10 AM at Living Web Farm, and after class I’ll head back to the Bread Fair at New Belgium Brewing to run my booth. I’m also planning to attend the baker’s dinner. If you’re in town I hope you’ll say hi! More details are at ashevillebreadfestival.com or in this PDF. 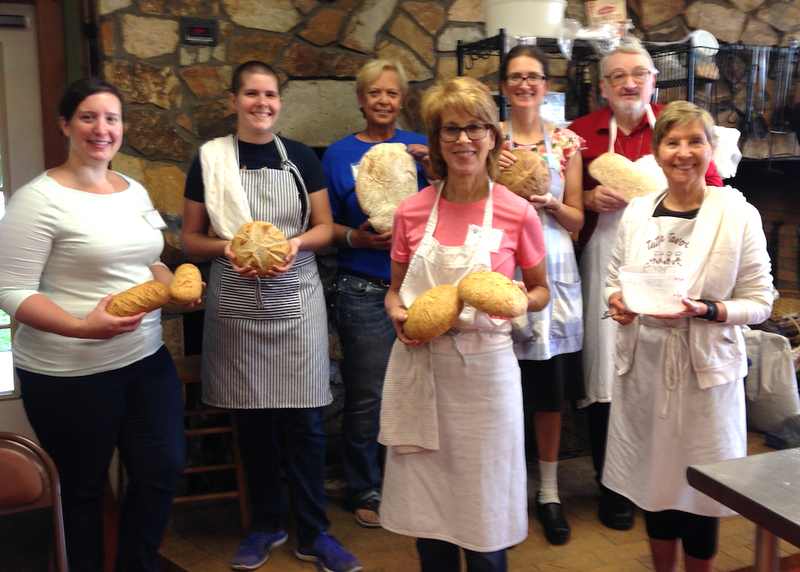 My June class at the Folk School is full, but I’ll teach “The Science of Bread” again January 6–12, 2019, and “Baking Traditional Breads” May 26–June 1, 2019. What does it take to self-publish a book? And what is the smartest route to take? With all of the self-publishing services available today, the process can be confusing. Author Emily Buehler self-published her first book in 2006, before many of today’s services were available. As a result, she took a “DIY” approach. She’ll present an overview of the entire process (finding a printer, designing the book, forming a business, marketing, distributing print books and e-books, and much more) and what it takes to do it yourself. If you decide that self-publishing is right for your manuscript, you’ll know what you face. You can then consider which parts of the process (if any) you’d like to outsource and the smartest way to go about it. The Internet has made self-publishing a viable option for authors, enabling them to sell books across the world, and author-publishers are now gaining acceptance in the publishing world. It’s an exciting time to self-publish—come learn all about it! This past month I received my dystopian fiction novel back from developmental editor Tanya Gold. I trust and respect Tanya, but it was hard to see how much she suggested cutting. My immediate reaction was that “publishers today must not want description.” But I could see swathes of description in other books in the genre. Other highlights of the conference were the opening address by Jill McCorkle and my afternoon class with David Halperin. Jill read an essay she’d written that included the idea of being haunted by memories, particularly of places, and spoke about the balance between letting your subconscious do the work of writing, and the hard work of revising. David’s class was “Writing the Character You Know Best.” I’d always considered it a flaw that my characters were rooted in my own personality, but David spoke about it as normal and even beneficial. Another class I took this spring was developmental editing of nonfiction. At first, I found it hard to ignore copyediting, to focus on the big picture, but after a while I got into it. While I don’t know if I’ll want to move in that direction as an editor, I wanted to understand what the process entails. Even if I’m working as a copyeditor, I’d like to recognize developmental faults in manuscripts, and the material interested me as a writer. The class helped me classify the services I do offer; for example, what some editors call “content editing” makes sense to me as a beta read with comments. I rewrote the services page of the Emily Editorial website (here). 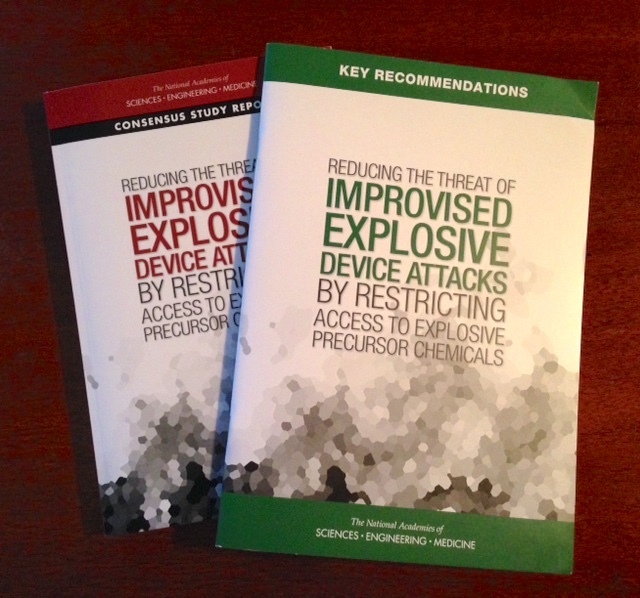 Finally, I’m excited to share a link to a report I worked on for much of last summer: Reducing the Threat of Improvised Explosive Device Attacks by Restricting Access to Explosive Precursor Chemicals. I participated in several rounds of edits and helped with a final copyedit this spring. I also helped draft a summary booklet on the topic (not yet available). The report is available as a free PDF here. This entry was posted in My News on April 27, 2018 by Emily. I’ve been busy with freelance projects since the new year started, including academic papers on everything from forest growth to service marketing. I’ve been taking a class in developmental editing of nonfiction, which is helping me understand how to manage the “big picture” of an edit: Is there too much or too little material? Is it well organized? I’ve also participated in several webinars. 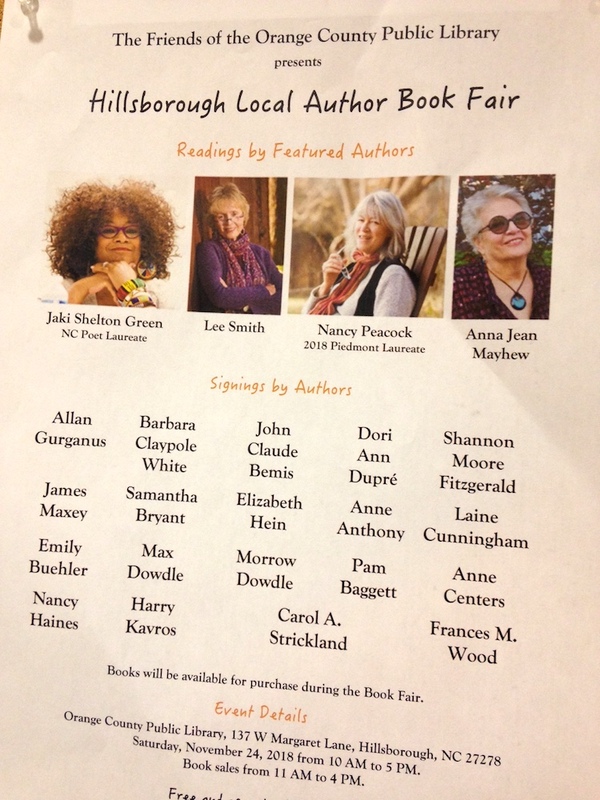 Self-Publishing Talk: I’m giving a talk at the library in Hillsborough about self-publishing. It will be an overview of the whole process with a focus on what it would take to do it all yourself. It’s free and open to the public on May 20 from 2 to 4 PM. Learn more (PDF). My fiction manuscript (working title: Intelligence, hashtag: #IntelligenceBook) went off to a developmental editor, Tanya Gold, this month. It’s my first attempt at writing fiction, and while I feel good about some aspects of it, I wasn’t confident that it was the best it could be. I’d taken a class from Tanya and liked her style of working with authors (the class was on how to work with authors!) so I’m excited to hear back from her when she finishes. I’m attending the North Carolina Writer’s Network’s (NCWN’s) spring conference in April. 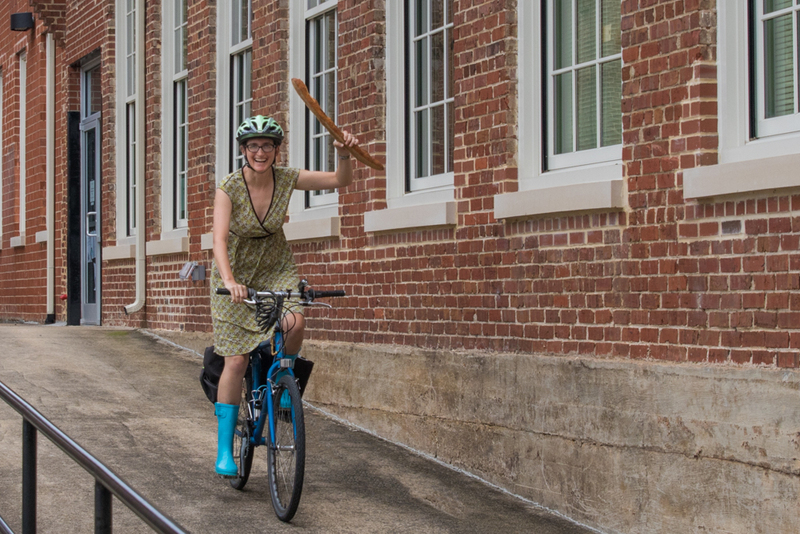 Fifteen years ago, when I first considered writing for other people, I joined NCWN; at the time, they had an office at White Cross, just west of Chapel Hill, and I biked out to use their library. I let my membership lapse, though, because I did not get much value from it. At the time, I was writing Bread Science and trying to find a publisher, and then turning my efforts to self-publishing, which was not much accepted. Well times have changed! I’ve been to conferences the past two years (the EFA in 2016, AWP in 2017) and looked forward to one this year. When I decided not to travel far, I settled on attending both NCWN conferences. I rejoined the network and realized how far I have come: self-publishing is now mainstream and slowly gaining acceptance in the industry, and I have two self-published books; and I have two full-length fiction manuscripts that I’m ushering through the process of revisions. I often think of myself as having three careers rolled into one: (1) writing my own books, (2) editing other people’s writing (and sometimes writing for other people as well), and (3) self-publishing my books and sharing the process with others. I’m glad to be involved in all three of these spheres. This entry was posted in My News on March 20, 2018 by Emily. I started the new year with some prioritizing so I could focus on one major project at a time. First I finished up the draft of my new fiction manuscript (working title: Intelligence), which will go to developmental editor Tanya Gold in March. I’m excited to get Tanya’s feedback on the manuscript, and also (from an editor perspective) to see the developmental editing process in action. Tanya reminded me to think about marketing Intelligence, even though it’s far from publication. It’s hard to know what’s going to change, but I’m hoping to stick with the title so I’m adopting the hashtag #IntelligenceBook for future use on Twitter. My current priority is learning everything I can about today’s self-publishing, in preparation for a talk I scheduled at the Orange County Public Library (Hillsborough) on May 20 at 2 PM. Last year I wrote a booklet, published by the Editorial Freelancers Association (EFA), about “do-it-yourself self-publishing,” which is my area of expertise. However, even an author-publisher who wants to do the entire process herself can benefit from some of the services now available. So I have been taking webinars and reading about distribution, e-books, and more to broaden my knowledge of self-publishing. The EFA booklet is available as an e-book here, and I’ve been told a print version is coming. A question during my last bread class caused me to investigate the difference (or lack of) between instant yeast and RapidRise yeast: What Is RapidRise Yeast? This entry was posted in My News on January 26, 2018 by Emily. I decided to start by reviewing a book I loved, The Thinking Woman’s Guide to Real Magic by Emily Croy Barker. I can’t remember how I ended up at Emily’s author reading back in 2013, or what her connection is to North Carolina (where the action starts), but I was so glad to have discovered the book. I was glad to support it on Goodreads, too, especially when I saw a few of the scathing, one-star reviews (which, IMHO, reflect more on the reviewer than the book). It was a good lesson for me, that there are always going to be readers who hate your book, and that I should keep working on developing the thick skin I’m going to need. I don’t think I would slam another author’s book, no matter how much I hated it. I guess negative reviews are important, but for now at least, I’m going to review books I liked. I’m going to try to write a few each week, and to post them at Amazon as well. It’s something I’ve been meaning to do for awhile, knowing how important online reviews are to authors. In other news, my blog post about the class I took last July is now up on the Folk School blog: “Nothing Is As Expected in Printmaking Paradise.” The post deals with the unpredictable nature of print-making (and life!) and features a print I made of Scruffy. 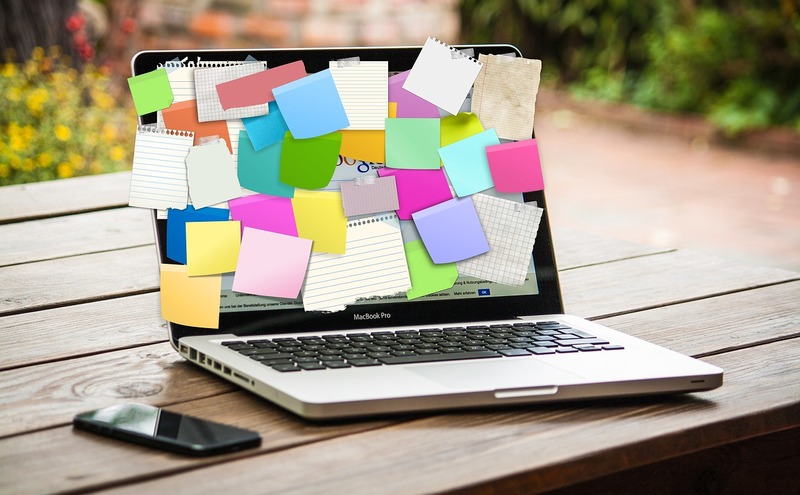 The Editorial Freelancers Association (EFA) published my overview of how to self-publish a book with as little outside help as possible: DIY Self-Publishing: An Overview. You can buy it on Lulu.com as a print or e-book. There’s also a free version (here) that contains some of the information and is a good starting point. If you think you want to move ahead with self-publishing, the EFA version is better written and more detailed. Finally, I’ve been writing blog posts about writing, editing, and self-publishing. Since this blog is dedicated to personal news, I’m posting them on my editorial business website, here: http://www.emilyeditorial.com/blog/. This entry was posted in My News on October 5, 2017 by Emily. It’s been a busy summer. I’m excited to have so many opportunities to edit and so many ideas for my writing, but sometimes I miss the days when summer meant slowing down. 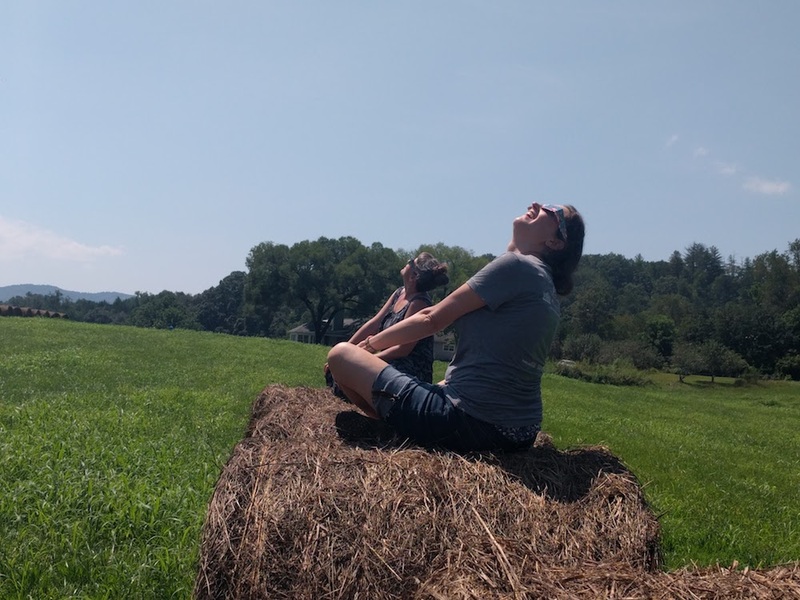 Jessica and I watch the eclipse. Photo by Dane Summers. I’m teaching again in October (the class is full), with additional classes in January and June, 2018. I’m currently working on a series of sourdough-relayed bread articles for The Kitchn, also in anticipation of Modernist Bread. Amy Halloran and the Modernist Bread team will be doing posts as well. They’ll be posted in October. Writing about bread, and stumbling upon interesting new facts (like the different temperatures that bacteria and yeast thrive at, which can enable the baker to control the sourness of her sourdough), is making me want to delve back into bread research. Another game changer was finding out that through my William and Mary alumni association, I have online access to academic journals–I wouldn’t have to take the bus to UNC, where non-students are now limited to one hour of computer time. I might be able to revive Food Chem Blog! 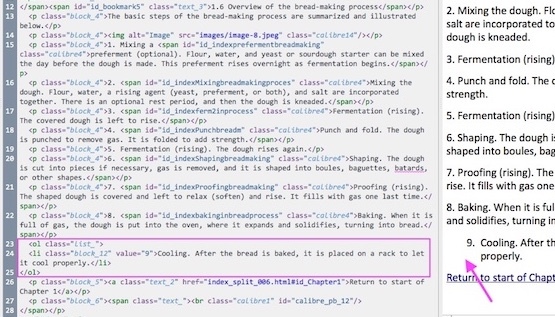 I’ve never had an interest in a second edition of Bread Science. I thought I had written everything I knew. I’m about to get more copies printed, and I had to open the Indesign file to make a few corrections (my email address and location). It was tempting to start copyediting the whole book–I didn’t even know about the Chicago Manual when I wrote it!–but each page that has changes adds additional cost to the printing. I shouldn’t start editing until I’m going to redo the whole book. And if I’m going to do that, I might think about adding new content. I wonder if there will be a second edition someday! This entry was posted in My News on August 30, 2017 by Emily. Summer is in full swing, with enough news to report to warrant a blog post. Alicia Stemper, the author of Orange County’s Vitamin O blog, interviewed me for a post. Vitamin O highlights “the robust and wonderful people who make Orange County, North Carolina strong”! Her post is coming in August. Update: here it is! 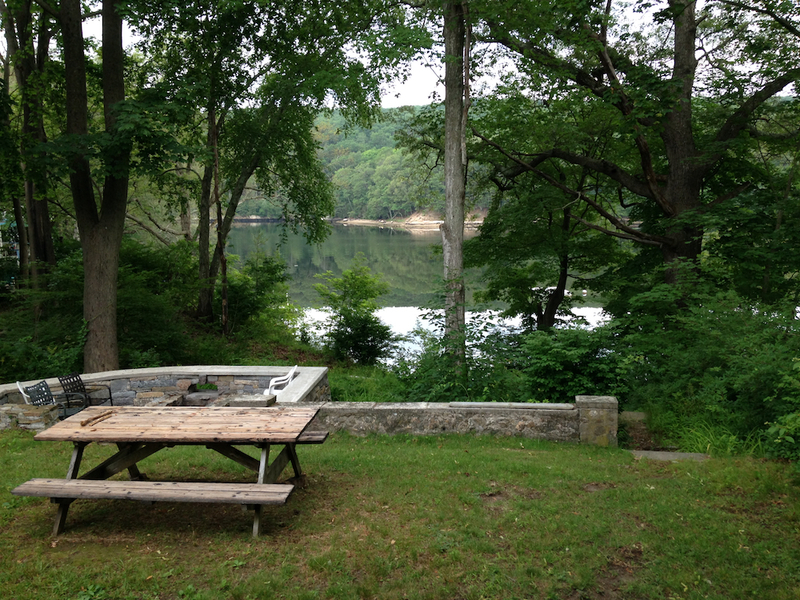 The view from my rental; sometimes I wrote at the picnic table! 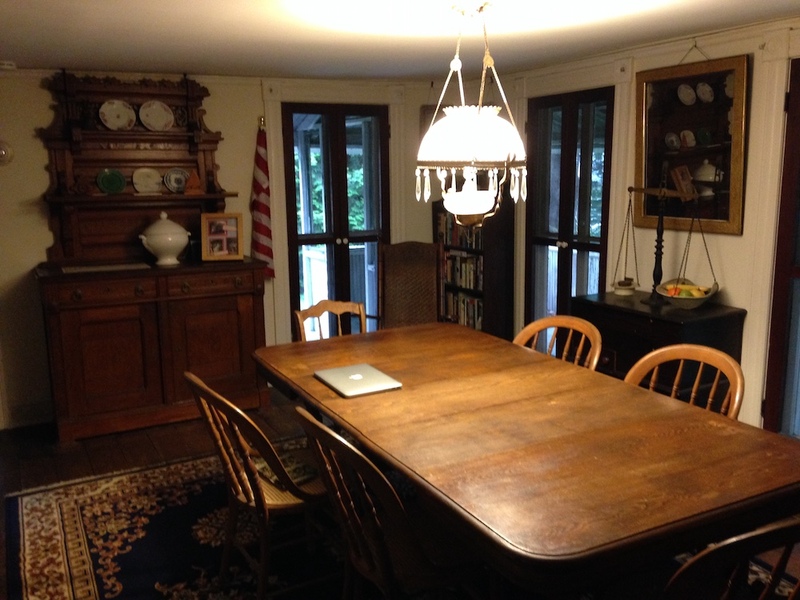 This month, I created a writing retreat for myself by staying for four night’s in a friend’s rental cottage on the Niantic River in Connecticut. (I grew up just across the river, and was up that way to visit friends.) I also took the train, which provided many more hours with my laptop. With so much quiet time to write, I finished the revision of the draft of my romance novel, which I initially wrote during NaNoWriMo last November. Several friends are now reading the draft to provide feedback, and I am beginning to look into the world of romance writers and publishers. This entry was posted in My News on July 9, 2017 by Emily.